San Francisco, CA, September 04, 2018 --(PR.com)-- Who Winked Me, Inc. has developed a fun and easy location-based internet dating app that seeks to revolutionize the way people meet by leveraging their smartphone. No more algorithms. No more filling out long resumes. No more sending alerts to a potential date and then waiting days for a response. This app keeps it simple and is ideal for anyone who wants to easily and instantly connect with other people in real time. Users must be 18+ years of age to join. Once users have downloaded the app, they will create a user profile, including adding a photo and or video, and enter their search preferences such as gender, age, location, etc. Users will then be able to pull up a list of available users (“Winkables”) to connect with. Love knows no boundaries, and this app offers a global connect feature to bring lovers from across the world together onto the same platform. Once finding someone of interest, the user can send them a “Wink,” and if the “Wink” is accepted, the connected users will then be able to instantly video chat through Wink-Me-Live, or text message with each other. This app also features a “Book-A-Date” calendar where users can plan and schedule dates on the app with their new connection. To always feel safe and secure, users can hide their location on the map and keep their profile private at any time. There is also a distress alert built into the app that users can activate sending an alert to pre-selected friends or family members as well as the local authorities if they feel uncomfortable while on a date. This app provides control to users and enables them to meet new people that they may have otherwise never met randomly. This greatly increases the odds of meeting that someone special. Who Winked Me can be downloaded for free from the Apple App Store and Google Play. Users can immediately begin searching the database for free and there is a $19.99 monthly subscription fee to access the working features to make a connection. 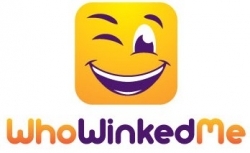 Who Winked Me continues to grow exponentially so new users should check in daily to browse for new Winkables. For more information and videos please visit www.whowinkedme.com. Click here to view the list of recent Press Releases from Who Winked Me, Inc.